Thanks to Vincent for 10.6.7 UUID fix! The 10.6.7 updates disabled Herald (notifier and preview for Mail) as well. Looking forward to a Fix for that one. You should be able to fix Herald under 10.6.7 by applying the same UUID fix that works for Letterbox. Instead of Letterbox.mailbundle you’ll be looking for Herald.mailbundle, and then open Contents and edit Info.plist just the same. That is the direct download from the developer, so you won’t need to muck around in any plist files. Thank you for the prompt fix. 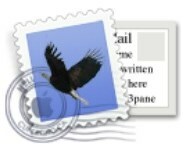 It seems like every time Apple updates it’s OS they muck up mail.